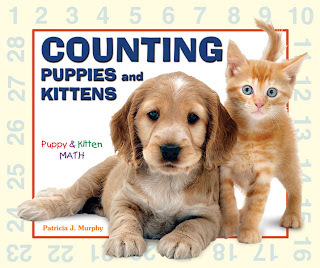 For Mathematics Awareness month, Enslow Publishers is proud to bring you what must be the cutest possible books for learning basic math. 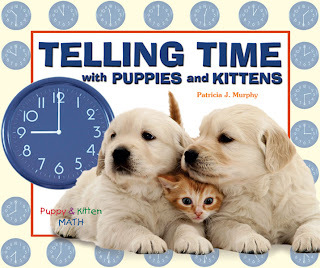 For children in 1st and 2nd grade, the "Puppy & Kitten Math" series, by Patrica J. Murphy, teaches children the basic math skills of Adding, Subtracting, Counting, Measuring, and Telling Time. 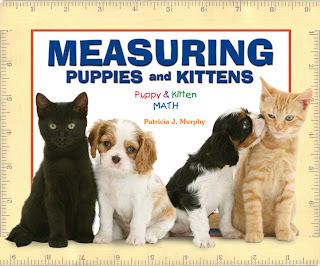 Each 32 page book features adorable pictures of puppies and kittens inside of math tutorials and math problems. 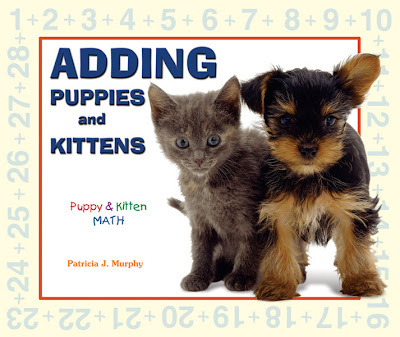 Click on a cover for more information about the book, or click here: "Puppy & Kitten Math" for information about the series. New Enslow Math Series Adds Up to Student Success! With math becoming an essential component of the national Core Curriculum, teachers, administrators, and students are searching for books that will help their chances to improve their test scores. Enslow's new "Math Success" series provides a winning package to address this important need. Each 64-page title, written by veteran math instructors, focuses on skills essential for student achievement. Each book features age-appropriate text and clear examples to achieve its goals. From word problem and statistics exercises to geometry and algebra's logical challenges, "Math Success" offers strong, practical books for the contemporary learning requirements of today's students. Enslow offers the ten-book series in library-bound editions for the school/library discount price of $209.50, a savings of nearly $700 from Enslow's list price. "Math Smarts" is also available in paperback, with six-packs available at special savings. Call Enslow Publishers for more details and savings! So many children have reading projects and math packets to complete over the summer. But what could be more fun than a camping trip with a pig? Join Sebastian Pig and and friends, Percy and Milo, on a camping adventure. 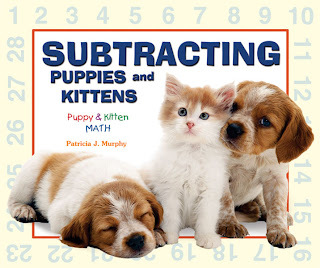 Subtracting with Sebastian Pig and Friends on a Camping Trip is a fun way for young readers to reinforce their reading and math while practicing subtraction skills over the summer. ﻿Check out other titles in our Math Fun with Sebastian Pig and Friends! series. It may be the best trip you take this summer! Martin Luther King Jr. Day- Count and Celebrate! 1, 2, 3…Let’s count! How many Nobel Peace prizes did Martin Luther King, Jr., win? How many kids are holding a banner in a parade? Find out in Martin Luther King Jr., Day—Count and Celebrate! Count people, symbols, and more as you explore and learn about this fascinating holiday. This title, by Lisa Beringer McKissack and Frederick L. McKissack, Jr. was reviewed in the 6/1/09 issue of SLJ. The full review can be found by clicking on the title link. "This book encourages readers to count demonstrators, flags, presidents, and buttons in photographs associated with the civil rights leader. Numbers are featured as numerals labeling people and objects in the illustrations and as bold words in the text. The book discusses King's civil rights work, personal sacrifice, and legacy, including the current-day volunteer movement centered on his holiday."